I have read that a mother has more right for custody for the children when divorced unless she marries. My question is; if the mother married, consummated the marry but then was divorced by that men even though they did not lived together, is she still entitled to the custody? or she lost that right even though she is divorced now. Please note that the child has always lived with the child with the father's consent. 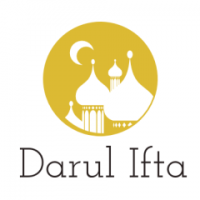 As I mentioned in a previous fatwa which can be found on the Darul Ifta Birmingham website, the mother loses her right of custody of the children if she was to marry someone who is not related to the child.